What’s the drink most people reach for when they need caffeine? Often, it’s coffee, which works incredibly well but can also give you bad breath and leave stains on your teeth. Thankfully, coffee isn’t your only option for caffeine in the morning. Green tea can give you the same boost while also improving your oral and overall health and reducing your number of dental visits. People have been drinking green tea for centuries because of its many health benefits. 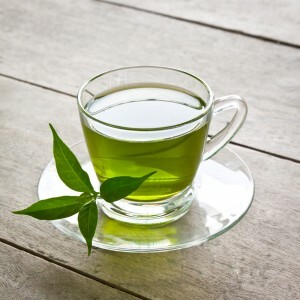 Among the many things green tea can do, it can improve heart health, regulate body temperature, promote digestion, and improve cognitive abilities. Despite all this, when we drink tea here in America, most people reach for black tea. The problem with black tea, though, is that is has far fewer antioxidants and more caffeine than green tea does. The leaves of green tea, however, are unfermented. Because of this, they have a higher concentration of polyphenol and catechin, which are important antioxidants that can improve cholesterol levels and help with cancer diabetes, liver disease, and more. Do you drink more than one cup of coffee each day? Why not switch to green tea and see how it changes your life. Do you have questions about enjoying oral health, or do you need to schedule an appointment with Dr. Keuning or Dr. Riley? Our office serves patients from Juno Beach, North Palm Beach, Palm Beach Gardens, Tequesta, Jupiter and beyond.